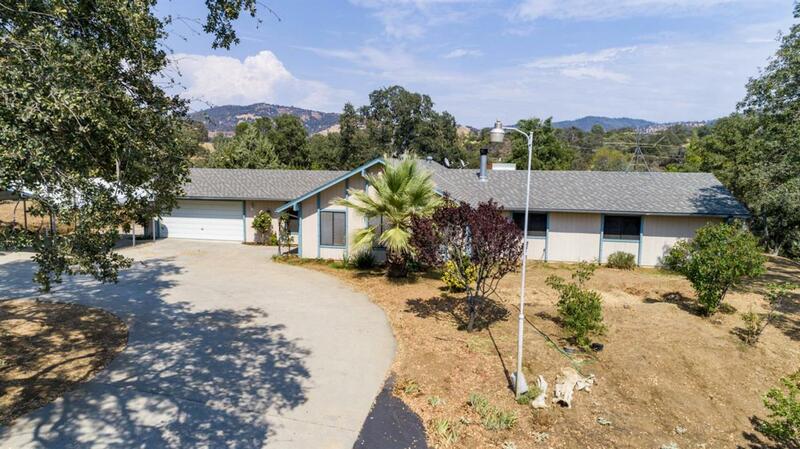 Coarsegold Hilltop home with great vista views on 2.47 acres. 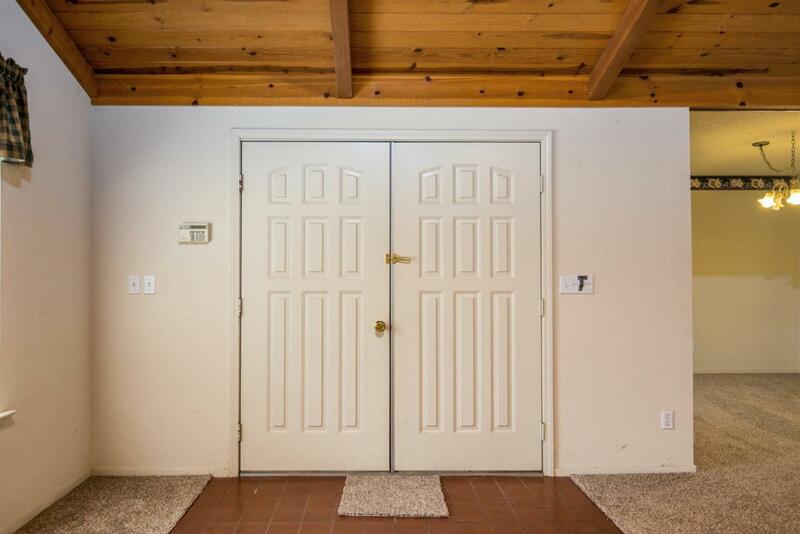 This home has a great huge open plan with cathedral open beam pine ceilings and beams. 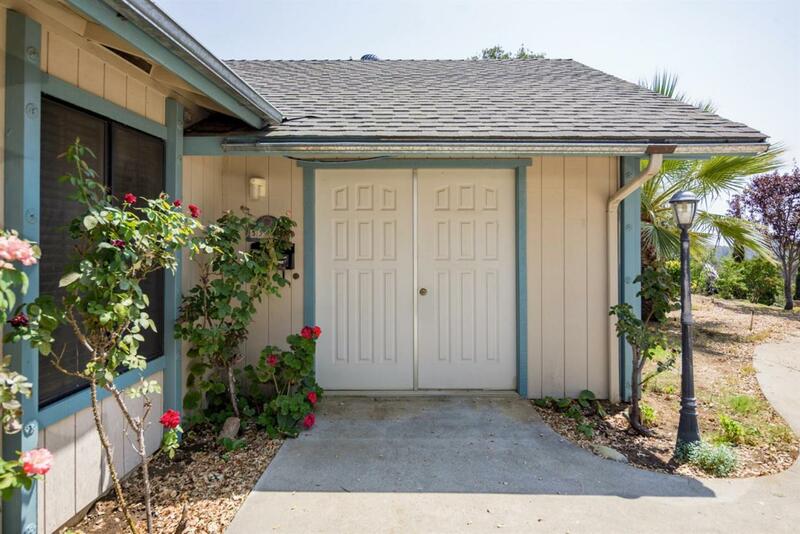 Enjoy this 3 bedroom, 2 bath home with newly installed carpet, sinks, faucets and water closets. 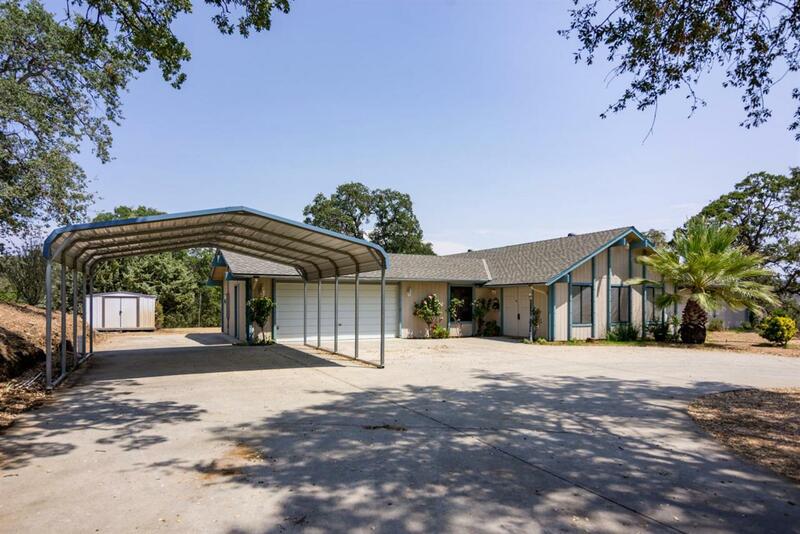 Has an attached finished 2 car garage. Exterior painted 2 years ago. Sale includes 2 metal storage buildings, a 2 car carport and a small shop with attached chain link dog kennel. Close to Coarsegold but at the end of a quiet cul-de-sac. A must see!